I’m going to be out of the classroom tomorrow to work on the alignment of our science curriculum with the Next-Generation Science Standards. 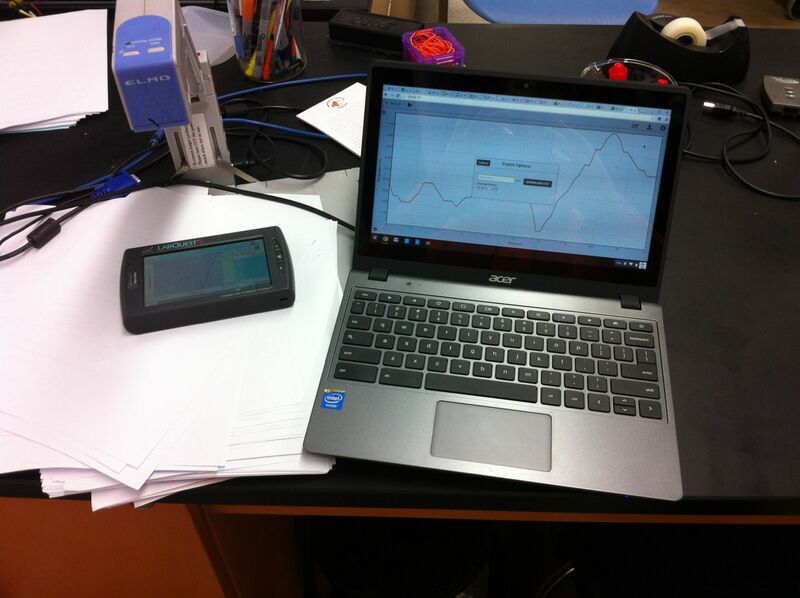 So, today, I demonstrated to students how to connect to the LabQuest 2 from their Chromebooks, export the graph, and export the data. I expected that we would have done this already this year, but so far we only had to manually record data from the LabQuest 2. In tomorrow’s lab, they won’t want to manually copy 60+ data points. I used my new HDMI-to-VGA connector to display the Chromebook screen and the Elmo to display the LabQuest2 screen. Seamless! Today, students had exported images of their graphs from Graphical Analysis as well as Plotly plots based on the exported data values.